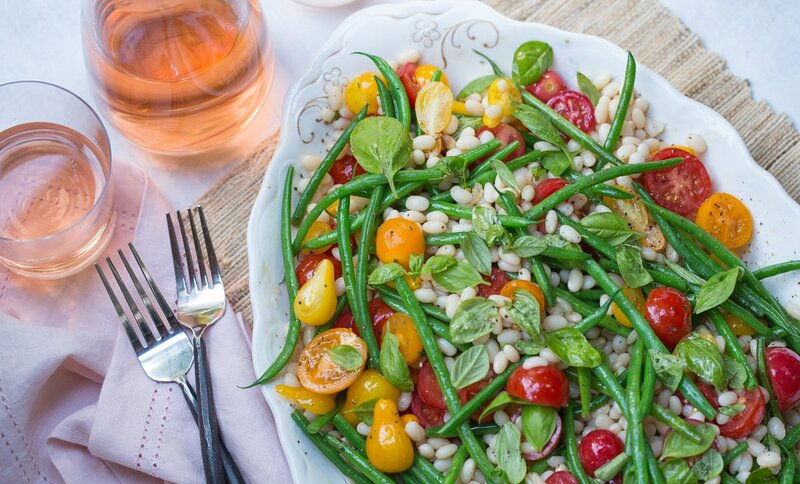 Mix the tomatoes, haricot verts, and beans with plenty of basil. A few twirls of olive oil gives richness, and freshly chopped garlic gives a delightful kick. A sprinkle of Maldon salt and a few turns of the pepper mill finish this fresh and delicious salad.